Arlington, VA, 3 January 2017—The National Genealogical Society (NGS) will open the call for proposals for the 2018 Family History Conference, Paths to Your Past, on 3 January 2017. The conference will be held in Grand Rapids, Michigan, from 2–5 May 2018. In the nineteenth century, the Great Lakes were major, strategic waterways that aided Americans moving West and immigrants coming from overseas through Canada to settle and develop the Midwest. Cheap land, mining, and the timber industry made the area attractive. The combination of water power from the rivers and rapids, together with access to grain and lumber, encouraged manufacturing and industry, including breweries, furniture, and cereal. Among the topics being considered by NGS are presentations on migration paths to the Midwest, including waterways, trails, and railroads; records and repositories for Michigan, the surrounding states, and Canada; records generated by France, Great Britain, and later by the newly established United States as they fought for control of the Old Northwest Territory; land grants, deeds, and maps; and laws and court records. 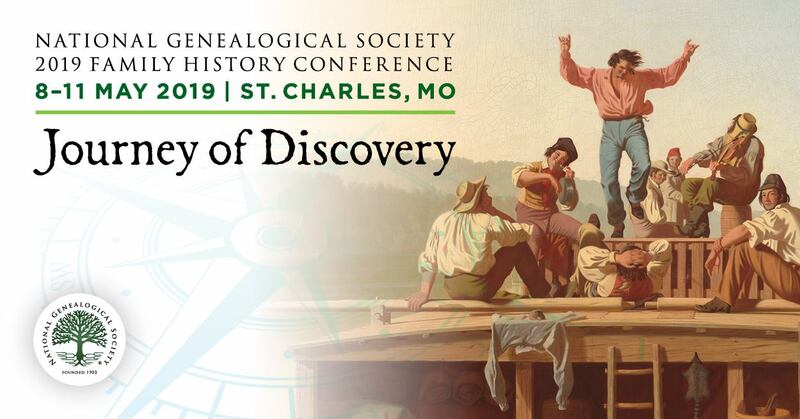 Conference tracks under consideration include ethnic and religious groups, migration into and out of the Midwest, military records, occupations and trades, and other organizations including masons, abolitionists, prohibitionists, and unions. NGS encourages the submission of proposals for broader genealogical categories, including methodology, problem solving, Internet websites, apps, and other technology tools. Proposals may also include presentations about DNA and how to use DNA to solve genealogical roadblocks. All proposals must be submitted electronically by 11:59 p.m. EDT on 1 April 2017. Speakers may submit up to eight proposals electronically by completing all the requested information at https://goo.gl/forms/5DHIlumuOuTMAn7J2. Organizations wishing to sponsor a lecture may submit proposals at https://goo.gl/forms/Wpr1gyZ2U00V2WhX2.